With the sun finally here to stay -- (knock on plywood) -- and the days still startlingly long and perfect, now, more than ever, is the time to be reading good books. In the sun. By the pool. In bed. As the barbeque warms. Whatever. But upon second thought, summer isn't just a time for reading. Of course it's not. (What a dumb idea that would be.) Summer is a time for our lives to catch up with us and for us to catch up with our lives. A time for friends, for barbeques, for parties -- for, you know, having a cold one, or two cold ones. You know -- if we're honest -- a time for drinking. So here's an idea, and let me tell you we've worked it all out -- we've really got it all here. The drinking and the reading. You know, the knowledge and the social merriment. Here it is. Here goes: just as you would match your wine with your dinner, match your beer to the book you are reading! Sip and Skim! Slurp and Soak! Swallow and Wallow! Or, you know... spend your summer drinking beers suited to enhance and expose your reading experiences! Call it 21st century, or smart, or just plain savvy -- we (fellow literaraturist/alcoholist Z. Blast and I) call it: Liberty Bay Books' Summer Beer Program For People and their Beers and their Books. Elysian Avatar Jasmine IPA (Seattle, WA) & Jhumpa Lahiri's Unaccustomed Earth. --Of classic British/Indian IPA extraction, this great summer beer puts a few surprising polishing notes on an already proven formula. Quietly smooth with the shock note of jasmine (pathos? ), this beer proves to be an excellent match for Lahiri's latest contemplative book of stories. As a note: both beer and novel finish like something brilliant and fuse-lit. -- A German-style Pilsner so light and handily delicious you'll be saying 'in watermelon sugar' before the trout have jumped at all! It matches Brautigan's classic tale of whatever it is, cast for cast (reel for reel...line for line...this could go on for a while...) for its thirst/peace-of-mind-quenching qualities and charming build. Perfect for that part of the afternoon that can't help but remind you of dogs sleeping on porches in the swamps of the American south. -- Like McEwan's Amsterdam, Unibroue's Belgian-style Dark Ale goes down easy but finishes like a kung-fu punch with the momentum of a verifiable swine-flu outbreak. (Lets just say its abv suggests that it is Olde-ier than even Olde English 800.) Blissfully tasty, but not taken in without consequence, both beer and book challenge the notion of what it means to be a summer beer or a summer read. Try them out! 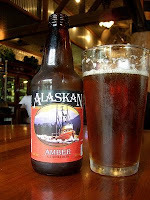 --Once voted the beer of the nation way back in 1988, this NW favorite has long been a steady source of summer carbohydrates for those of us who spend the majority of our months besieged by drizzle (and also much, much better than Alakan Brewery's Summer Ale). It suits D.J. Duncan's sweeping NW family epic in that it tastes and really is so damned familiar. It's almost like you've been drinking it since the Mariners' first winning season, a feeling no doubt amplified in Duncan's Brothers K. A match that's sure to make you feel like everything this summer is making sense. That's all for now but look for BEEROK Pt. 2 soon! It's that time again, so don't forget to buy Old Dad a book for Father's Day! 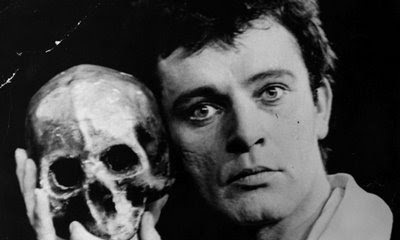 Here are some creative recommendations: Hamlet, Shakespeare's great tale of a son's love for his Old Dad turned horribly awry (ha! 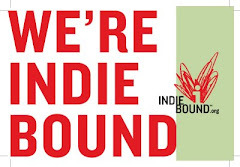 ), Richard Ford's Independence Day, a story of a single father out for an awkward weekend with his son, Cormac McCarthy's The Road, that famous post-apocalyptic tale of survival and manly love, or Mary Shelley's Frankenstein, because sometimes our 'children' don't come out quite as we expected and we have to make due. 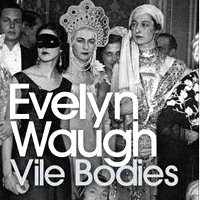 No writer has been left to the dust by the modern world quite as assuredly as Evelyn Waugh has. Which is sad; funny-sad like a dead clown on a roadside or a foot race in which one of the participants is shot in the foot by the starting gun (a scene from Waugh's Decline and Fall). Why? Well though they be the forgotten stuff of yester-years, Waugh's novels are comic and satirical masterpieces--truly heart-rending, spleen-splitting, giggle-inducing masterpieces worthy of readings and rereadings and rerereadings. At a time like now, when we feel ourselves at the edge of history (the world economy in a sinkhole, the oceans in a microwave, the Middle East in ... the Middle East?) reading Waugh is especially prudent. His novels, by and large, take place in the 1920s, -30s, and -40s -- an era so much like our own, replete with looming apocalypse, a fundamentally hopeless politic system, and an ever-reckless population of domestic socialites and celebrities. Though hilarious, they are far more than funny. They illuminate, titillate, and teach, reminding us just how silly and wrongheaded so much of what we tacitly accept of our world really is. Summer is the best time to pick up Waugh. His books are delightfully short and can generally be finished in one sunny afternoon no matter how many gin-tonics are swilled (a fact which Waugh, no doubt, would be proud of). Again, This is not say they aren't smart. So if you're bored one hot afternoon, try any of these for a start: Decline and Fall, a satire of a young schoolteacher's loss of innocence, Scoop (my favorite), a satire of reportage during the Ethiopian war, A Handful of Dust, a satire of the upper-classes set largely in a tribal village, or Vile Bodies, an shockingly fun journey through the beautiful upper crust of 1930s Britain. Check this hilarious clip from the movie Bright Young Things (with James McAvoy) based on Waugh's Vile Bodies: http://www.youtube.com/watch?v=V_kfiiioZBM&feature=PlayList&p=B25299A74FDA53EC&playnext=1&playnext_from=PL&index=11. Being a kid is so fun. Isn't being a kid so fun? Being a kid is really, really, altogether, too much fun. And in that vein there's Neil Gaiman. His books, which come in so many sizes and fit for so many palates, always seem to remind me of my child. Me as a child. A little baby-thing, reckless, feckless and food covered. It's not that Neil Gaiman's books are pedantic or so superficially adventurous that they dull one's senses into something resembling a child (as, say, David Baldacci's novels). It's just that time and time again they prove to be so hiliarious, so smart, and so enduringly forged out of the language of myth, that I can't help but read (or as I'll get to: listen to) them as a child would: hanging on every word like it will save my life, smiling so much I think I may have taken my dog's antidepressants instead of my own allergy medication that day, and learning about who we are as a human people and how we got here with enough verve to make you think that the subject was the coolest, most radically hilarious episode of Spongebob Squarepants. As it goes: I often get the feeling that Gaiman's books are made from the same stardust they ruminate about. 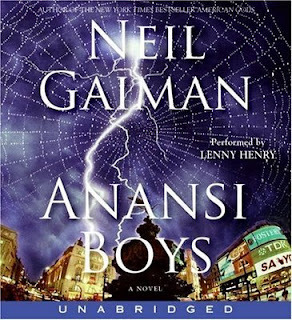 My favorite Neil Gaiman books have been all those I've read: The Anansi Boys, Fragile Things, and this year's Newbery Medal winner, The Graveyard Book. I recommend all of them. Sleek, lean, and mean as a bullet, Denis Johnson's recent novel Nobody Move has got so much in it to love at times it's hard to bear. Alternately, too, it's a book that is disparagingly dark and wretchedly comic, and has got so much in it that's cringeworthy it's hard not to consult either a barf bag or your local opium den as you read it. (One scene involving a colostomy bag, a disfigured criminal called 'Tall Man', and a beatiful woman with a gun is particularly spectacular). So what I'm saying is this: If there's a book in recent memory quick enough and cool enough to sprite onto your tongue before you've had the time to hate it, this might be it. Call me a Johnson-ite, call me anything, this man can write. 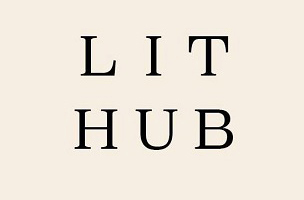 Liberty Bay Books Enters the 21st Century! 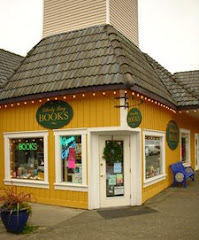 Here, after so much time wasted, Liberty Bay Books finally gets on the Blogosphere bandwagon! (Or is that too much alliteration?). Anyways. With any luck, this blog should provide a comprehensive space for book talk -- old and new, thick and thin, bad and worse. So get involved! Spark debate! Listen in! Read about what's new and revisit the books that used to be!